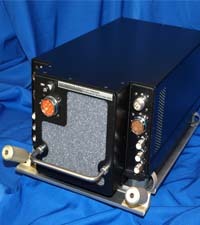 Radios are the primary focus of our military electronic products. Some of our most successful products are direct replacements for older radios (30+ years old) which customers wish to keep “just like it is.” We replaced the “insides” with modern electronics, keeping the mechanical, interface, and functional performance identical to the older unit. In other cases, the product is a completely new design rather than a replacement. Softronics employees have extensive experience in the High Frequency realm, including military and civil government customers around the world. Our HF Product Family modernizes several older products with higher performance and lower power than prior generation products. 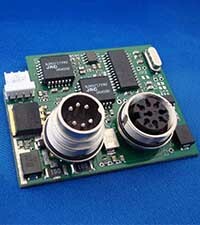 Our commercial electronics work consists of building custom electronic assemblies for other companies. As most of these items are proprietary to the companies, we will not discuss in detail what they are, but instead give a general description of our work. Softronics has designed a suite of miniature signal detection and generation products. The family presently consists of miniature energy detectors and signal generators. The energy detectors may best be understood as banded radiometers spanning 30-3000 MHz, with precision logarithmic power detectors. 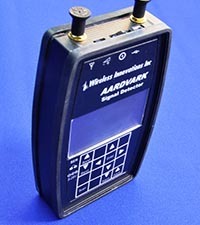 The signal generator is a handheld, full-performance RF signal generator, with several variations.